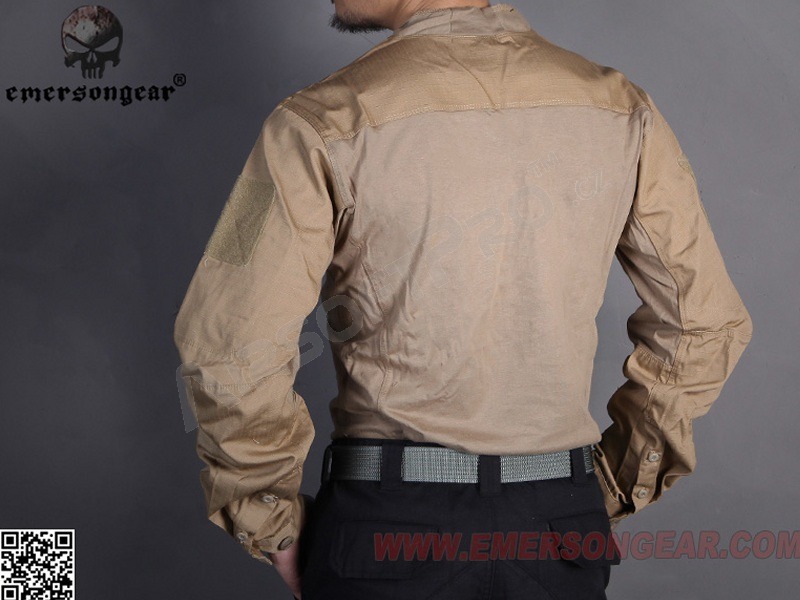 Emerson's lightweight jacket with smart design is ideal for direct wearing under a tactical / bulletproof vest. 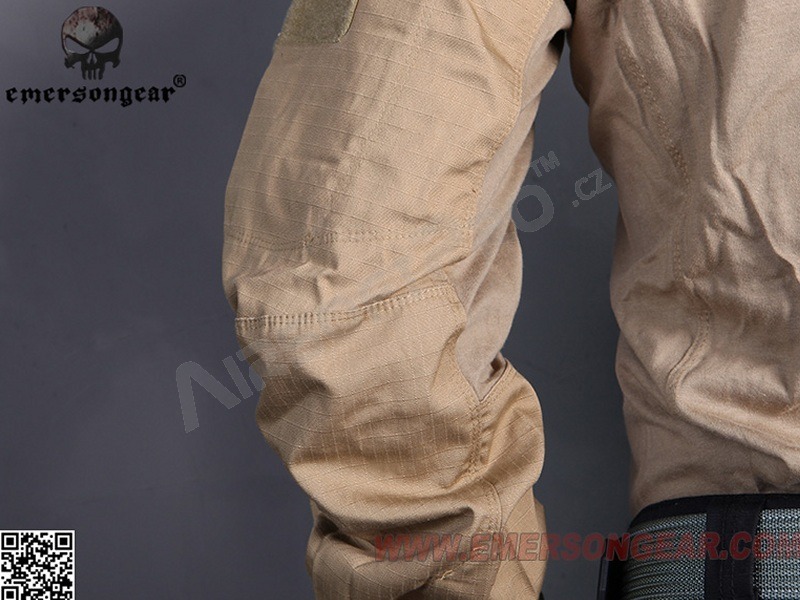 It is made with 65% / 35% cotton / polyester combined with high comfort in use. 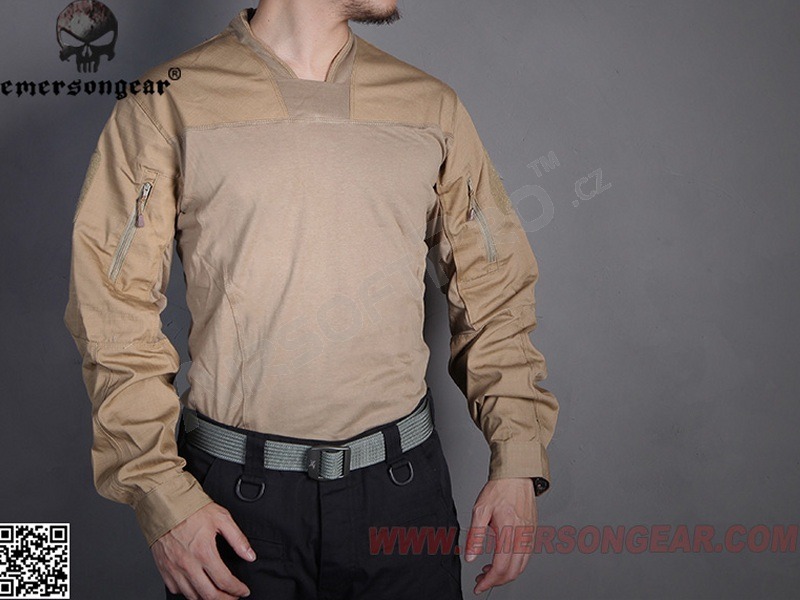 The jacket has a cotton body that makes it very comfortable on the skin and for long wearing. Breathing and well absorbing sweat. 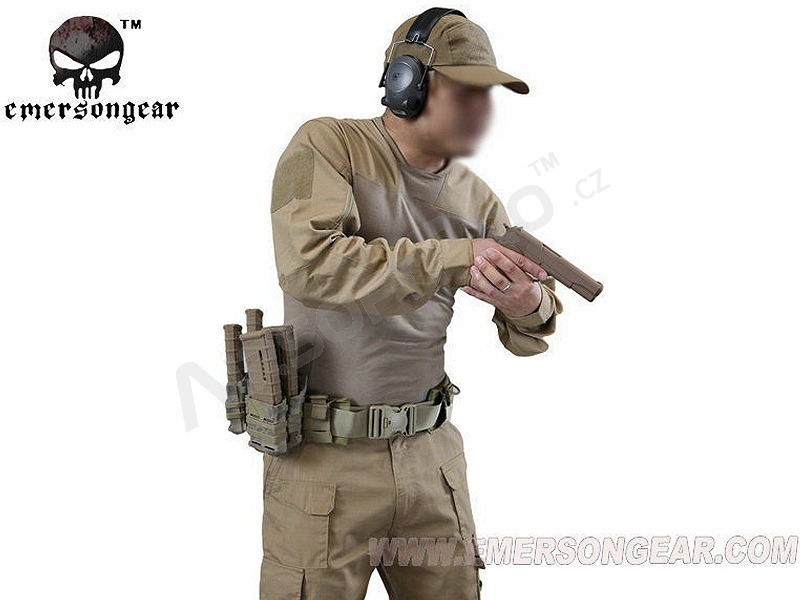 The cotton parts of the T-shirt are covered with a vest, therefore the most important is not resistance, but comfort of the user. Cotton is also on a low collar that does not scratch on the neck. 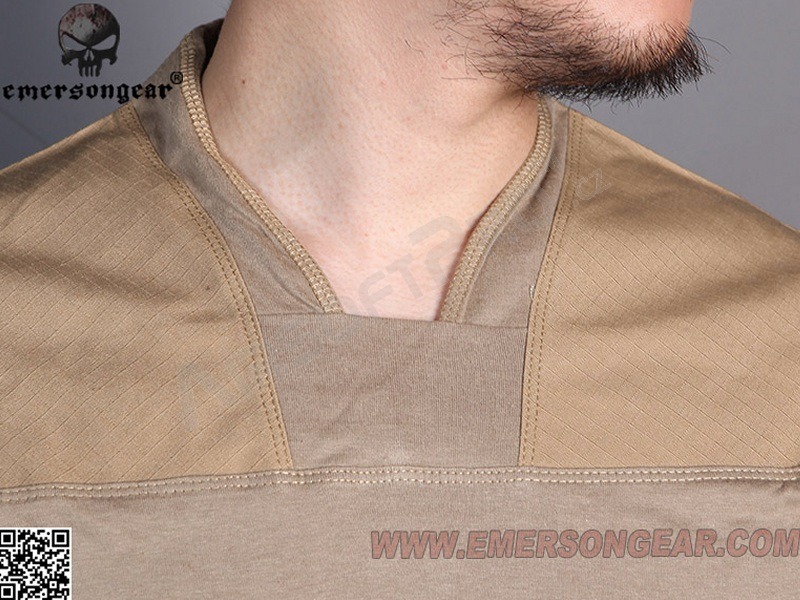 The special shape of the neckline prevents the penetration of dirt and is comfortable and does not restrict movement. 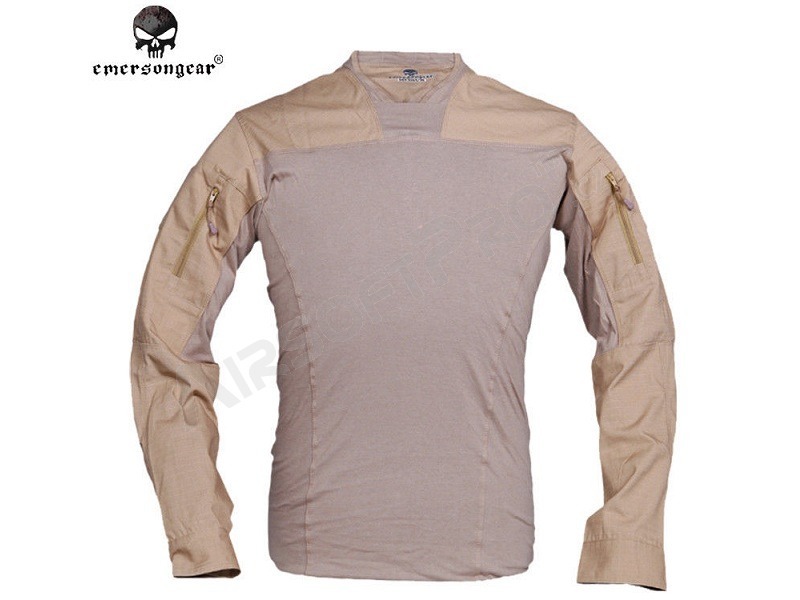 Exposed areas (sleeves and shoulders) are resistant to abrasion and dirt due to the polyester additive. They are made from Ripstop and increase the life and high quality. 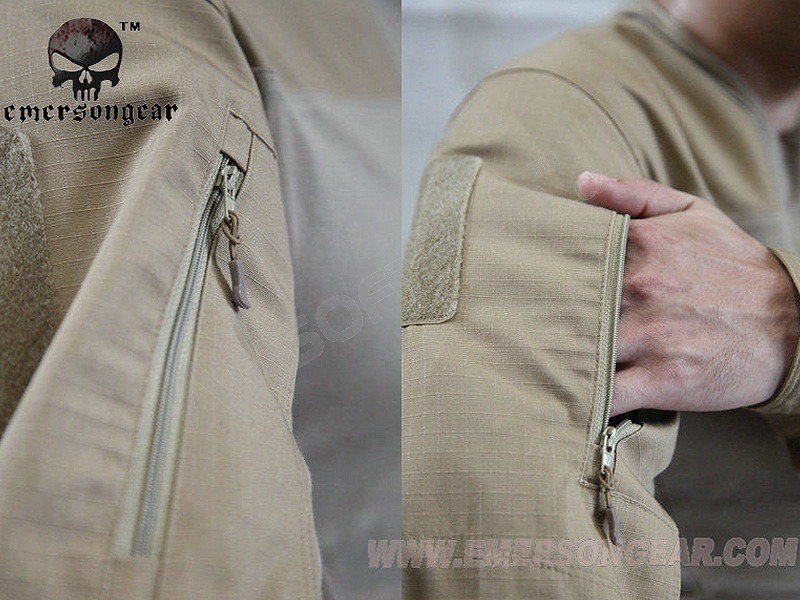 On each sleeve there is a large zipped pocket and velcro on the shoulder for the sticker. The sleeve is adjustable with buttons. YKK! Zipper are used in pockets. Material designed to create the toughest and lightest polyester fabric. At regular intervals, the diameter and length of the woven fibers are stronger. It is in the case of mechanical damage to prevent the spread of defects.